Quote: "I've heard this rumour yes, I mean I've seen the stuff on the Internet and I think any lad of my age would kill to play a part like that. It's very, very flattering. I've no idea if there's any truth in it but I mean, Lucasfilm, Disney if there is then you know where I am." 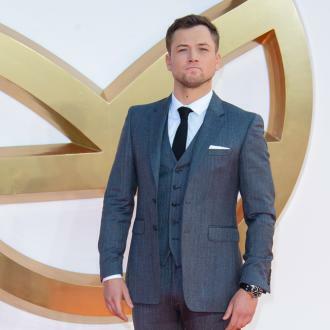 Kingsman: The Secret Service star Taron Egerton plays down rumours suggesting he is in the running to portray a younger version of Harrison Ford's iconic Star Wars character Han Solo in a new movie. Quote: "Graceful, charming, messy eater!" Up-and-coming British actor Taron Egerton offers up his thoughts on his Kingsman: The Secret Service co-star Colin Firth.